Boulder Botanicals & Bioscience Labs leased the former GE Healthcare/Unisyn building in Golden. A Boulder cannabinoid company leased a former GE Healthcare building in Golden for its headquarters and operations. 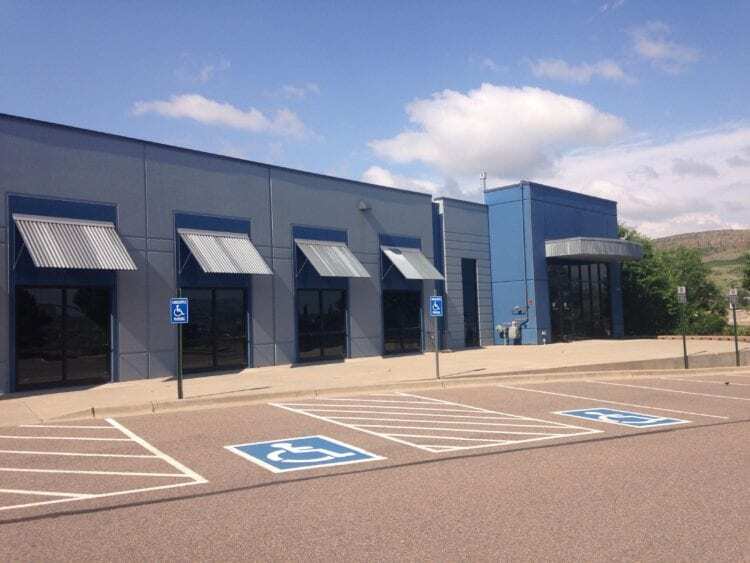 Boulder Botanicals & Bioscience Labs leased the 26,180-square-foot facility at 1150 Catamount Drive with an option to buy the building. The property will serve as headquarters for several other sites throughout Colorado, including a 70-acre hemp farm in Pueblo, as well as other states. Unisyn Medical Technologies, a diagnostics imaging products and services company, had its headquarters in the building and was acquired by GE Healthcare in 2013. Boulder Botanicals will be able to use much of the infrastructure GE/Unisyn had in place, such as vaccum-sealed rooms, clean rooms, commercial kitchen setups and safety features to produce netraceutical-grade CBD products in compliance with certified standards used in the neutracutical industry, according to Maruchy Lachance, chief operating officer. The building was built with Good Manufacturing Practice and high safety standards in mind, so it is turnkey for Boulder Botanicals’ needs, she said. “Boulder Botanicals will develop our white-label products and other contract-manufactured goods in this facility. We will be able to produce several different delivery platforms, including capsules, tinctures, topicals and more,” Lachance said. In addition to housing Boulder Botanicals & Bioscience’s headquarters, the building will accommodate research and development, sales, customer service, and shipping and receiving. The building’s owner is 1150 Catamount LLC, managed by Ricardo Bottome of Boulder. Tom Hill and Eric Rutherford of WK Real Estate in Boulder handled both sides of the lease transaction.